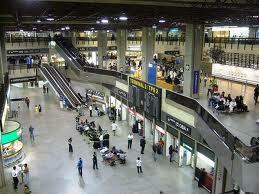 Guarulhos Sao Paulo Airport is the international airport in South American's largest city. Sao Paulo is the 8th largest city in the world and the largest city in Brazil. It is the gateway into Brazil for many international flights. Tourists start in the Sao Paulo area and then can fly out into the rest of Brazil. Sao Paulo has two airports, Congonhas and Guarulhos. The airport is the start of your vacation, it's where you first start to get the feel for a new country. However, there are many things that can go wrong. Some of them can really ruin your entire trip. If you are going to be flying into the Guarulhos Sao Paulo airport you want to make sure that you watch out for 5 very common mistakes. Not enough time. All the international flights to a large section of Brazil come in and out of this airport. That means that it is crowded and busy. When you are flying out of Sao Paulo you need to make sure that you get to the airport at least 3 hours before your flight leaves. You want to make sure that you have ample time to get through security and any other procedures. Getting to the wrong airport. Sao Paulo has 2 airports. Sao Paulo Guarulhos is the international airport. Congonhas is the domestic airport. If you are flying into Brazil and then have a domestic flight to get to your final location then you need to double and triple check to make sure you know where you are flying out of. You don't want to end up at the wrong airport. There is a regular shuttle service between the two airports. The trip will take about an hour. Not understanding what's going on. While Guarulhos Sao Paulo airport is an international airport, most of the people you will be talking to will speak Portuguese. Signs will primarily be in Portuguese. If you learn a few simple phrases you will be able to get where you are going. Also learn to recognize words like information and restrooms, informacao and banheiros respectively. Getting mugged. Street crime in Brazil is very common. The airport is full of easy pickings.You are so wrapped up in trying to take care of your luggage and figuring out where you are and where you need to be you might not even notice that something is being stolen from you. The easiest way to keep all your belongings with you is to make sure that you stay with your traveling partner, if you have one. If you don't have one then you need to make sure that you are paying attention. Carry cash, credit cards and passports in something like a neck wallet or money belt to keep them more secure. Not being prepared. Travelers are used to many things in airports. Not all airports have the same amenities and features. For example, Guarulhos Sao Paulo airport doesn't have elevators, just stairs and escalators. This means that you are going to have to manage to get heavy luggage up and down stairs. People who have special needs are going to have a hard time too. Doing a little big of research can help you make sure that you don't run into any problems at the airport.